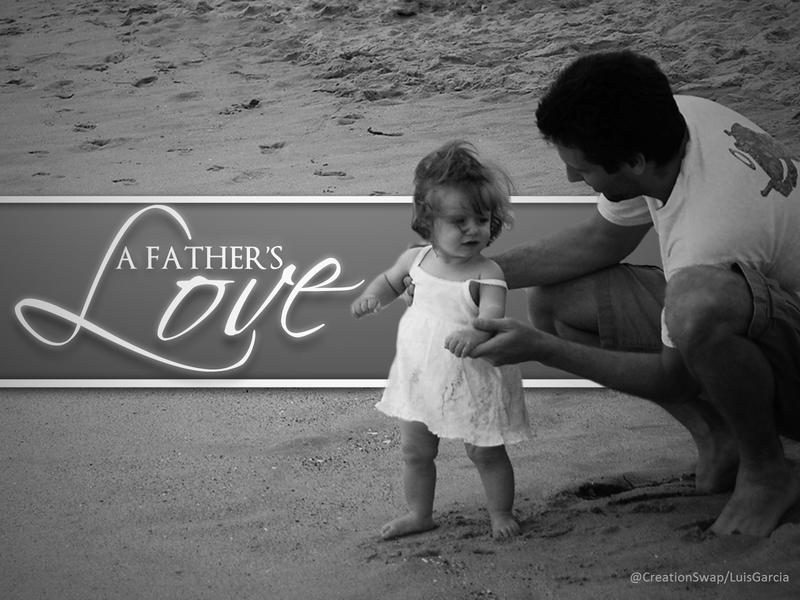 My father’s love is different from my mother’s love because my dad is not like my mum, as it should be. He is a thinker, not a talker; his low rumble rarely punctuated the soprano-rich chatter that filled our home. While I can dig up a dozen memories of my mum the superhero, without knitting my eyebrows and closing my eyes, I can only dig up a few of my dad. However, each memory, etched with a permanent marker in my consciousness, represents a turning point that defined me as a writer. During my childhood, my father was two things to me: Father Christmas and the man I wanted to please at all cost. Perhaps it was because he lived far away and I did not see him every day; the heart often longs for that which is not near. He returned home at Christmas with lots of praise and presents. He brought us tons of Judy, Mandy, Betty & Veronica, and Archie comics. He made sure I had one Naira every day so I could go to Challenge Bookshop or Leventis Stores to buy a book. That was how I discovered the enchanted world of Enid Blyton and my imagination soared to distant lands and distant shores. I cut my notebooks to mini squares and wrote the stories I would have loved to tell. That was how I learnt about pace and dialogue without going to writing school. Encouraged by my dad, I read and read and read. As a teen, we read together because he was home every day. I scanned the newspapers daily, but saved the columns and editorials for weekends. Then I would lounge with him in our veranda, he lost in his world of words, I lost in mine, as the clock ticked away. When night fell and the queen of the night flowers released their scent, we slapped the moths and mosquitoes away, turning the pages of our newspapers faster than we had done in the afternoon. He indulged my love for reading and there was always money to buy more books, Cosmopolitan, Vogue, The Economist, Times, Newswatch, and Classique magazines. That was how I learnt to argue for what was important to me with my words instead of my voice. Enthralled by the magic of words, my worldview changed one sentence after another. I wrote opinion pieces that enticed people to read and not skim, arranging my stream of thought in a logical flow. That was how I learnt about exposition without going to writing school. Encouraged by my dad, I read and read and read. Now a young woman, it is my turn to be Mother Christmas, heaping gratitude and gifts, so my father can continue to read. When we talk, I listen. I listen for it. I listen for the lilt in his voice as I imagine the spark in his eyes, because something he read has transported him as it does me, to lands of possibilities. As I connect the dots of my life, it becomes clearer and clearer still: my father’s love is different from my mother’s love. Her love is loud and the spotlight magnifies her heartbeat in motion. In the periphery, my father’s heart beats too, at a quiet even pace that masks its fervency. My dad is the mostly unsung hero who in a time of uncertainty wrote me a letter that has frayed at the ends and torn at the fold. Whether soaring or plummeting, whether laughing or crying, his words have remained with me, reminding me of when I first dared to dream. Reading and rereading the letter through the years, his writing style has become my own. Happy Father’s Day dad. Surely, my ink flows in part because of you. Just love this tribute, T. Your portrait of him and of the obvious ways he loved you, and how you get to be Mother Christmas now. Such a precious glimpse into your growing up and growing into. That’s how I got my love of books too. Awesome story. You read with your dad too? Great! What were your favourite books? Books open up new worlds to us. A love for reading is one of the best gifts a parent can give. Robin, thanks for visiting this post again. I think his generation showed love and affection in a different but no less valid way. Indeed his influence is heavy in the way that I write. The least I can do is write a tribute to him. God bless your Dad for a rich legacy. Amen. I thank God for the privilege of having a dad like mine. I lift my glass to fathers everywhere who rock! Timi I thoroughly enjoyed this. Great tribute to a great dad!! I had goose bumps. Well done. Please tell me he read it and absolutely loved it and was so proud of his wonderful daughter. Thank you Afi. He was touched by the tribute. With tact, close observation, and a beautiful style of writing you’ve presented a man worth calling ‘father.’ And I share the same view with you: a father’s love is quite different from a mother’s. But then, that doesn’t mean a father cares more or less. I grew up to know my father as a news and current affairs lover. Goodness me! We have loads of papers and magazines dated as far back as the early 90’s. Then, I only read the comic section. In my teens, it was all about sports. Now, it’s everything, LOL. Lovely post, my friend. Thank you Uzoma. Reading the comic and sports section of the endless papers and magazines that your father kept must have influenced your writing. You write beautiful stories. Kudos to your dad. Thank you Tonbareg. True, and the older I get, the more I realise and value what my parents gave me: a springboard from which to fly! Love your post. It’s great that fathers have a day where they are especially recognised for the positive impacts they have on our lives. I know I would be lost without mine. Yours sounds great. Thank you Naijabritt88. Good for you that you have a fantastic dad and I agree with you, it is wonderful to have a special day to celebrate & recognise the contributions of fathers to our lives. Nnenna, thank you. Yes, fathers rock! A touching, heartfelt piece and so beautifully written too. Thanks for a fab tribute and a great piece.